The album is the first R&B album to reach no. 1 in nearly year. 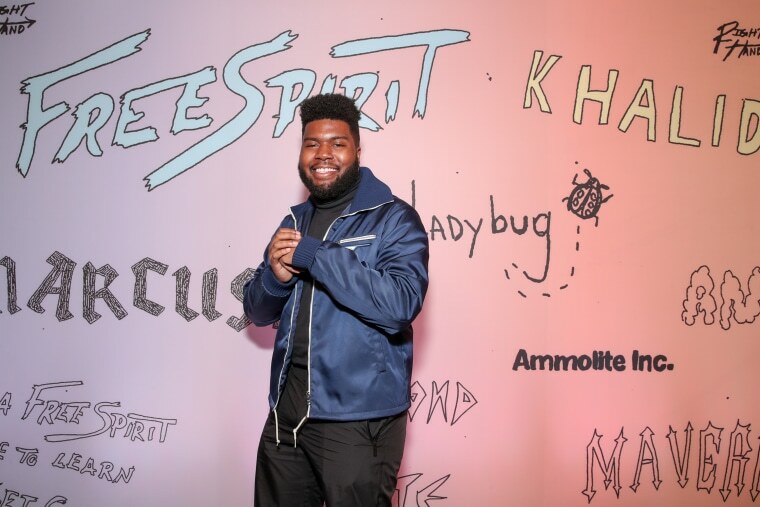 Khalid's new album has earned the singer his first no.1 on the Billboard 200 chart. Free Spirit landed at the top of the chart with 202,000 equivalent album units, 85,000 of which were traditional album sales, according to Billboard. The publication reports a concert ticket and album bundle aided in sales. Khalid's debut album American Teen and last year's EP Suncity previously peaked on the Billboard 200 chart at no. 4 and 8, respectively. Free Spirit is the first R&B album to reach no. 1 in nearly a year. The Weeknd’s My Dear Melancholy EP topped the chart last April.